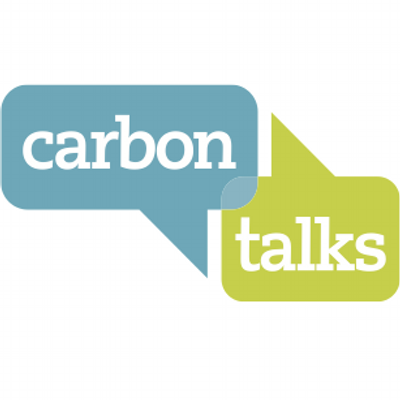 ACT’s Executive Director Deb Harford presented at SFU’s Carbon Talks on September 27th 2016. The video of this presentation is now online. In the presentation, Deb explores the concept of lowcarbon resilience and outlines some of the conclusions in ACT’s recent report, Low Carbon Resilience: Transformative Climate Change Planning for Canada. Following the presentation, audience members participated in a rich dialogue about policy, public engagement, and other tools to achieve our goals of becoming resilient while decreasing carbon emissions. The 2016 Livable Cities Forum took place September 12-14 in Halifax, and all presentations given at the Forum are now online. In this presentation, Edward explains the concept of low-carbon resilience and why it is a crucial way to think about climate change work. He also provide examples of how this concept can be implemented through avenues such as carbon pricing, resilient renewable energy, ensuring soil health, and responding to extreme heat. Here, Edward provides an overview of various economic instruments which local governments can use to fund or finance adaptation projects. These tools include utilizing possible internal revenues, seeking external revenues, and implementing innovative programs. An evaluation of these tools reveals recommendations, both for local governments and for other levels of government to advance and improve these tools. To view the entire conference program and access all other presentations, click here. Join in November 1st in Banff, Alberta for the first ever national dialogue on community-based water monitoring- connecting Indigenous and non-Indigenous citizen scientists with some of the world’s leading water scientists. Through a diverse panel of experts, this interactive workshop will generate recommendations on how to move forward on citizen science water monitoring nationally. Whether you’re a citizen, a scientist, or somewhere in between, this workshop is a chance to learn from leading best-practice examples from across the continent. Are you around Toronto next month, or know friends who will be? Let them know about the Fifth International Conference on Climate Change Adaptation, which will be held in Toronto October 15-16. The Fifth International Conference on Climate Change Adaptation 2016 (CCA 2016) will take place under the theme, ‘Challenges and Issues in Adaptation’. The event aims to provide a platform for participants to build relationships, learn about best practices and foster research collaborations on adaptation. CCA 2016 sessions will include: adaptation services; land and water; resource efficiency; developing a bio-economy; greenhouse gas (GHG) monitoring; making transitions happen; sustainable cities and people; and the built environment. The International Centre for Research & Development (ICRD) and Unique Conferences Canada are organizing the conference. This Government of Canada report assesses climate change sensitivity, risks and adaptation along Canada’s marine coasts. 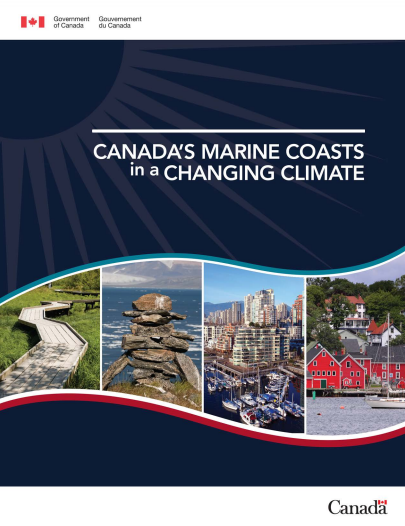 The report includes overviews of regional climate change impacts, risks and opportunities along Canada’s three marine coasts, case studies demonstrating action, and discussion of adaptation approaches. Led by Natural Resources Canada, its development involved over 60 authors and 70 expert reviewers, and synthesized over 1300 recent publications. Click here to register for these webinars. Check out the report and other science assessments, including Canada in a Changing Climate: Sector Perspectives on Impacts and Adaptation at Adaptation.NRCan.gc.ca. BC has released the much-awaited update to its Climate Leadership Plan. Now what? Climate Action in BC- Where Do We Go From Here? B.C.’s updated Climate Leadership Plan was released this summer, and many have said that it falls short in ambition and specificity to get British Columbia on track to meet its greenhouse gas emissions targets. In this Carbon Talk, we’ll hear from two experts on what this new plan means for B.C., and what opportunities exist and could emerge to keep BC’s climate action on track with its legislated goals. Join us for a free public dialogue with Climate Leadership Team member Nancy Olewiler, economist and professor of Public Policy at SFU; and Jeremy Moorhouse, Senior Analyst at Clean Energy Canada. Climate Change & Clean Energy Communications Specialist – reports to the Science and Policy Manager. The purpose of the Climate Change & Clean Energy Communications Specialist position is to provide communication and research support to the Science and Policy team’s climate change and energy projects. Lead DSF’s communications strategy to achieve DSF’s climate solutions goals. Be the content lead for all DSF climate comms — write blogs, editorials, reports, news releases, media briefings, and create social media content including video. Oversee all climate-related communications to ensure their effectiveness. Liaise effectively with the core communications team at DSF, and assist in the implementation of core DSF brand and content strategies as they are expressed in climate-related communications. Facilitate collaboration – share information and strategies within and across DSF departments and with key Canadian stakeholders such as academics, businesses, First Nations, municipalities, environmental groups, etc, often in both official languages. Be part of maximizing our impact through cross-sectoral collaboration. Seize opportunities that arise from emerging issues, current affairs and global trends to engage a wider community in our climate comms, and have more impact at key moments in the ever-evolving debate about climate change. Be a key part of our Science and Policy Team – build the public profile of the team and their projects, train spokespeople in new formats such as video, and participate in all planning and strategy sessions. Represent DSF in public forums, such as meetings, conference, press briefings and other events. Completion of a university degree and a minimum of five years professional work experience in communications and issue based research and analysis with a focus on environmental and energy related issues. Knowledge or a background in climate change, energy, and transit and sustainable transportation for cities is an asset. Demonstrated success in strategic communications planning, objective-setting and execution. Editorial experience (assignment, copy, web content, etc.) is required. Experience building relationships with Canadian media and pitching content is required. Experience creating online videos and other social media content. Experience building and maintaining relationships with external stakeholder groups and coalitions. Public policy and analytical research skills is an asset. Strong English language skills required. French language (or other language) skills an asset. Click here for more information and to apply. Application deadline: September 25th. Ocean acidification has been called global warming’s evil twin. Like warming, acidification is caused by human greenhouse gas emissions and has the potential to reshuffle the ecological deck in the ocean. Unlike warming, however, near-future changes in pH will exceed anything in the recent geological record, and there are few if any places to hide. Dr. Harley will discuss the many ways in which ocean acidification affects marine species, including shellfish that we eat and kelps and invertebrates that define key marine habitats. He will emphasize the importance of moving beyond studies of single species studies, and present examples of how ocean acidification may change coastal ecosystems in British Columbia and beyond. Registration not required. Reception to follow. Climate change mitigation and adaptation have typically been addressed as separate goals and through different planning lenses. But how can these two necessary strategies be harmonized in order to take advantage of meaningful co-benefits and more effective action on climate change? What are the most promising and urgent opportunities for decision-makers to coordinate action, policies, and planning for resilient energy, food, and natural systems? Join us for a free public dialogue with Deborah Harford, Executive Director of SFU’s Adaptation to Climate Change Team (ACT), as she explores opportunities and strategies for low-carbon resilience in Canada at the intersection of mitigation and adaptation. Though this event is free, please click here to register in advance. This event will also have a live webcast- click here at event time to join. Follow the conversation at @CarbonTalks. Please join us for this seminar with Rod Davis. The Kootenay Region of British Columbia plays a vital role in maintaining wildlife diversity in the Yellowstone to Yukon ecoregional corridor. Despite conservation efforts that have provided substantial areas designated to protect wildlife ecosystems, climate change and human development threaten the resilience of these ecosystems. This research aims to evaluate the effectiveness of wildlife conservation policy, vulnerability to climate change, and governance obstacles and stakeholder support for policy adaptations. Rod Davis retired from the provincial government in 2007 after 35 years working on fish and wildlife conservation, forest and range practices, land use planning, and environmental protection. He completed his PhD at UVic in 2015, where his research focused on socio-ecological dimensions of climate change and ecosystem conservation. Rod works as an independent consultant in resource and environmental policy and practice. He is an Adjunct Assistant Professor in the School of Environmental Studies at UVic and the Chair of the Managed Forest Council. This event will also have a list webcast. Click here at event time to join. The POLIS project has released its new research report, Top 5 Water Challenges that will Define BC’s Future. Escalating water challenges in BC require a better understanding and coordinated work to avoid future crisis. Drawing on an extensive review of media, court and tribunal cases, and insights from attending over 100 recent events related to water issues, this report documents dozens of examples of why and where critical water issues exist in the province’s watersheds. The report focuses on 5 key issues: (1) Building resilience to droughts & floods; (2) Sustaining water for nature; (3) Understanding the state of B.C.’s watersheds; (4) Protecting water quality for drinking, swimming & fishing and (5) Reconciling the water-energy nexus. One of ACT’s senior advisors, Jon O’Riordan, was one the reviewers of this report. The study shows how these challenges are mounting across BC and their potential to fundamentally impact the province’s prosperity and quality of life. The report offers potential solutions to create water security and sustainability over the coming years. It is intended to generate productive discussions and actions among water users, communities and policymakers. The College of Education, University of Saskatchewan, Canada, is seeking one or more Indigenous Research Associates to assist with data collection for a national study on sustainability in educational policy and practice in formal education in Canada. The Sustainability and Education Policy Network (SEPN) is a research-based partnership between Canadian and International researchers and leading Canadian and North American policy and educational organizations that began in 2012. SEPN is hosted at the University of Saskatchewan and is funded by $2 million in Social Sciences and Humanities Research Council funding and $1 million in matching funds from SEPN’s partners and contributors. SEPN is examining the relationship between sustainability education policies and practices in K-12 and post-secondary education across Canada. SEPN is the first large-scale, national-level research collaboration to collect comparable data at all levels of education in Canada. 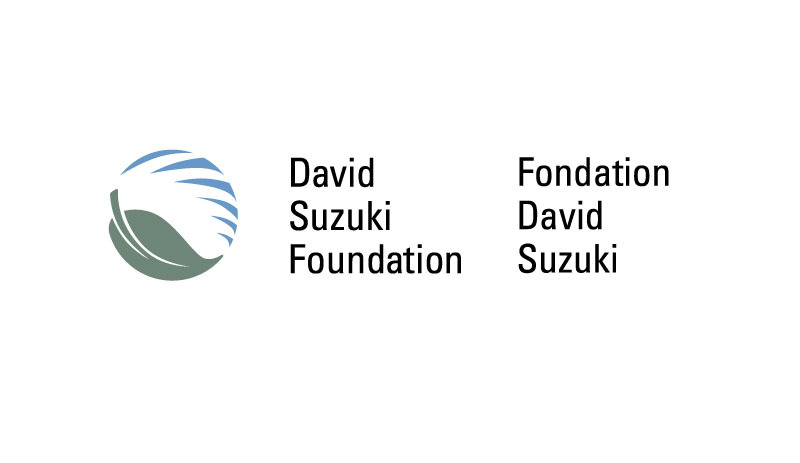 Our partners include the Association for the Advancement of Sustainability in Higher Education, Canadian Centre for Policy Alternatives, David Suzuki Foundation, Learning for a Sustainable Future, and Sierra Youth Coalition. 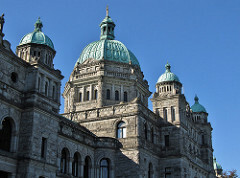 For more information, visit www.sepn.ca. SEPN is conducting site analyses of 6 provinces and territories at both the K-12 and post-secondary levels to explore the relationships between sustainability policies and practices in different settings across the Canadian education system. Data collection for the site analyses involves in-person interviews, focus groups/conversation cafes, sidewalk interviews, and a talking wall. Data collection will take place at the Nunavut Arctic College and 2 to 4 K-12 schools in the region in October and November 2016. Anticipated commitment is approximately 4-6 weeks of full-time work. Responsibilities will include: (1) relationship development with research participants; (2) participant recruitment; (3) data collection; and (4) management of consent forms and collected data. A Master’s or PhD is preferred; a Bachelor’s degree is acceptable if the candidate is enrolled in a Master’s or PhD program. Candidates should have experience with qualitative, Indigenous, and/or community-based research; understand the cultures, communities, and protocols required; have excellent interpersonal and communication skills; and be able to work independently while meeting timelines. Familiarity with sustainability/environmental education is an asset, as is existing networks within northern Manitoba and/or Nunavut. In addition to an hourly wage (the target range is between $20-$28/hour, depending on experience), all travel-related costs will be covered. Interested applicants should send a cover letter and curriculum vitae to Project Manager Nicola Chopin at nicola.chopin@usask.ca. Application deadline: September 16. Only short-listed candidates will be notified. Steve Litke from the Fraser Basin Council will be presenting the results of Phase 1 of the Lower Mainland Flood Management Strategy. Phase 1 examined the region’s flood hazards, flood vulnerabilities, as well as flood protection infrastructure, policies and practices. Litke will also speak about what to expect from Phase 2 of the Strategy, which aims to develop a regional action plan. One of the Strategy’s partners is the City of Surrey, and in the second portion of this webinar, Carrie Baron will speak about how the City went from technical studies on climate change to policy, financial planning, design and construction integration, to community engagement. Of considerable note is the Coastal Flood Adaptation Strategy project currently underway at the City. This project builds off smaller technical and local engagement projects with the projected outcome being a comprehensive coastal strategy for the City. Watershed planning processes are essential to watershed governance, as they bring together key rights holders and interests to articulate a common vision, including priorities, problems, and management actions. Many local leaders across B.C. are pursuing watershed planning processes, and anticipate that B.C.’s Water Sustainability Act—which enables “water sustainability plans (WSPs)”—could give existing or future plans legal ‘teeth’, increasing their legitimacy and impact. Although WSPs are new legal tools under the Act, many regions have significant experience in various forms of water and watershed planning. In this webinar, Lee Failing (Principal, Compass Resource Management) will share insights on the important elements of a sound planning process—based on her experience in leading a range of water use planning processes in B.C. and elsewhere in North America over the last 20 years. Kate Cave (Project Manager and Research Associate, Centre for Indigenous Environmental Resources (CIER) will discuss her experience in Indigenous-led watershed planning and share highlights from the CIER Guidebook series. This webinar is the first instalment in the POLIS Water Sustainability Project’s 2016/2017 Creating a Blue Dialogue webinar series. It is intended as a lead-in to the upcoming Watersheds 2016 forum, which seeks to build capacity in B.C.’s water community for effective watershed governance. **SPACE IS LIMITED** Register now! 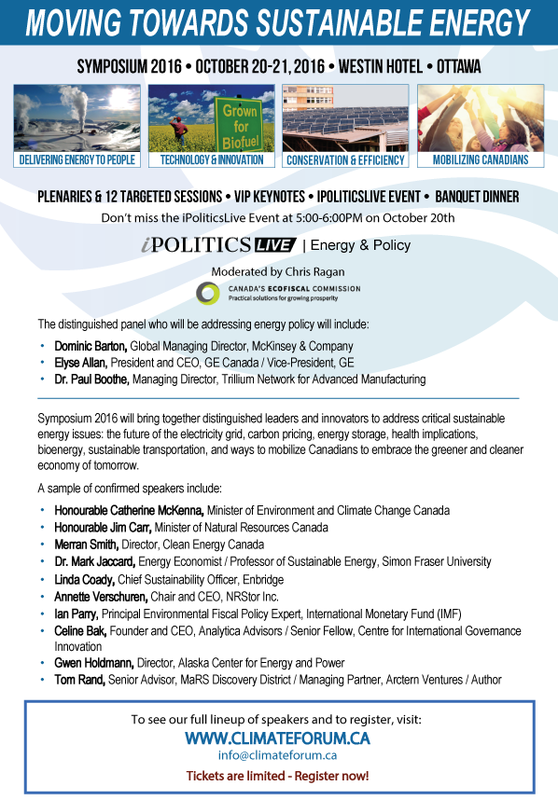 The Canadian Climate Forum’s 2016 Symposium will be held October 20-21 in Ottawa. ACT Executive Director Deb Harford is is on the Advisory Board of the CCF, and this Symposium promises to be an informative and exciting opportunity! Check out the information below, and click here to register. Coastal decision makers can now test a new tool that provides them with pretty much everything they need to adapt their community or business to coastal climate impacts. Click here to access CoastAdapt. CoastAdapt is an online decision support and information delivery system designed specifically to meet the needs of coastal decision makers in government and business as well as community groups and NGOs. The beta version was launched in Melbourne on 23 August by the National Climate Change Adaptation Research Facility (NCCARF) at a meeting with local, state and national leaders in coastal management. It is now open for review and feedback. CoastAdapt brings together a diverse range of information, maps, guidance, and international and Australian examples of coastal adaptation in three main sections. Current reliable information on all aspects of coastal management under climate change including access to nationally consistent data sets. A decision support system, known as C-CADS, takes users through steps to determine what response is necessary, timing of actions, costs and how to monitor and evaluate the results. An online forum for the community of adaptors, CoastExchange, is where users can share problems, news and ideas. A highlight of this forum is ‘Ask an expert’ where coastal decision-makers can pose questions to a panel of experts. In developing CoastAdapt, NCCARF incorporated input from around 700 coastal decision makers through an extensive consultation process. Nine local governments and one industry group have also been intensively involved as tool development partners to provide detailed feedback on both the structure and content of the tool. The beta version of CoastAdapt is now open for review and feedback. Follow the links in the section below to visit the site. review and consultation will be open until November 2016. The final version of CoastAdapt will be launched in 2017. Decision makers are being given early access to the beta tool to provide feedback by November 2016.
by emailing your comments to info-nccarf@griffith.edu.au.